The Hurst Stage One Spring Kit for the 2016-2019 Camaro SS (Coupe and Convertible) is an excellent choice for firming up the handling of your car and giving it that "just right" stance. These springs will lower your car approximately one inch front and rear, closing up the fender gap and lowering your center of gravity for improved handling and braking. This provides a better overall driving feel while maintaining a street friendly experience. 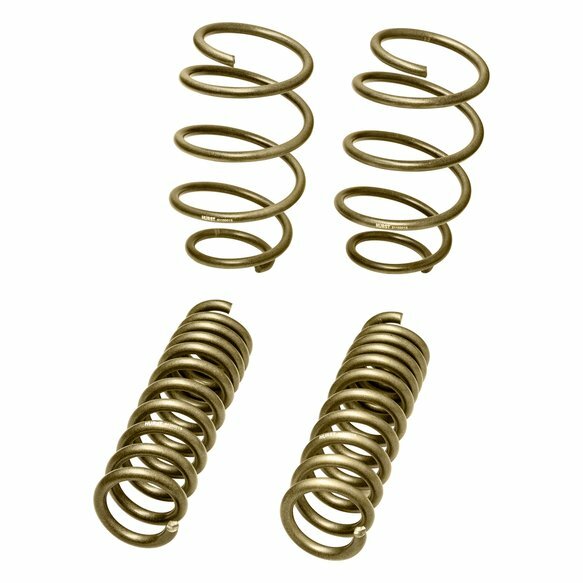 The springs are manufactured in the US and are powder coated in the Hurst Gold color. Professional installation is recommended as special tools are needed and the vehicle will require a wheel alignment after installation.